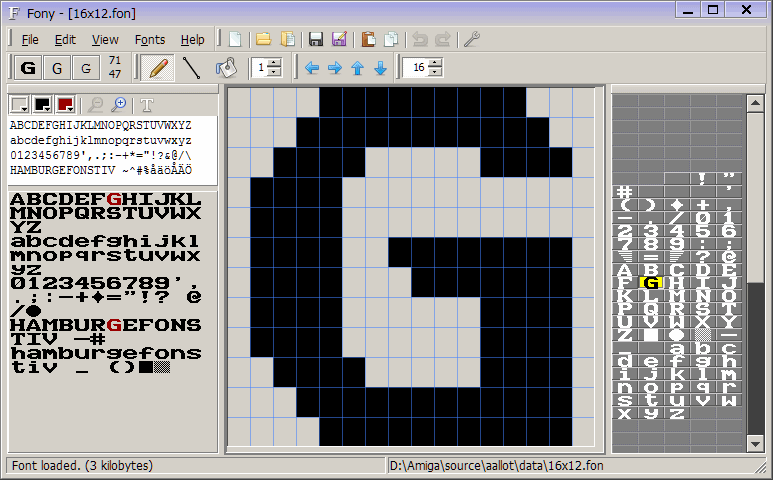 Fony is a bitmap font editor, originally created for editing Windows bitmap fonts in FON/FNT format. Fony runs on Windows 2000, XP, Vista, 7 and newer. To run Fony on Windows 98/ME you may be able to use KernelEx; for Linux use Wine. If you have questions or requests, please visit the Fony support forum. If you find Fony useful you can make a donation!